Switzerland prides itself on its “humanitarian tradition”. But this master narrative is often tied to well-known testimonies: they tell of the aid provided in the world wars and the generous attitude of Swiss donors, they refer to the long-standing activities of Swiss humanitarian institutions. This book seeks new critical perspectives on Swiss humanitarian action in transnational contexts. 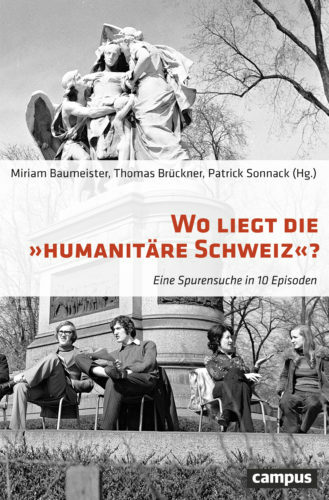 Divided into five epochs from the 19th century to the present day, it traces the genesis of Switzerland’s humanitarian aid. The volume includes contributions by Christian Rohr, Michael Höppner, Irène Herrmann, Gaby Sutter, Daniel Högger, Thomas Brückner, Lillian Brise, Daniel Speich Chassé, Muriel Weyermann, Damir Skenderovic, Robert Dempfer, and Jakob Tanner. This entry was posted in Actualités / News, Books, Posts and tagged Humanitarianism, ICRC, International Humanitarian Law, Switzerland by Fabian Klose. Bookmark the permalink.